Vietnamese recruitment platform JopHop successfully raised seed funding of $710,000 last November in a round co-led by the Singapore-based KK Fund and Japanese human resources (HR) services company the Mynavi Corporation. Startups such as JobHop are matchmakers trying to automate the recruitment process to seek the best match between candidates’ abilities and employers’ requirements. They are focusing on tackling the critical timing and fit problems for both recruiters and job seekers by using artificial intelligence (AI), data science, and blockchain, in the context of Vietnam’s increasing demand for highly-skilled and qualified workers. Similarly, JobHop’s mission is to match the most qualified candidates with the most suitable jobs in the shortest amount of time, thereby addressing the issue of fit and timing in the current job recruitment process. In the near future, it aims to become the most reliable link between the Vietnamese workforce and reputable international businesses. 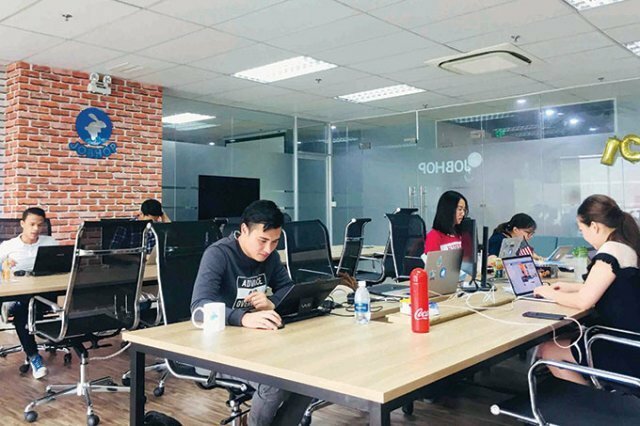 JobHop also hopes to work closely with MoLISA to create a technological ecosystem that not only fosters smarter recruitment but also greater collaboration between today’s new generation of talent, non-profit organizations, and especially social enterprises, ultimately aiming to alleviate the imbalance between worker supply and demand in Vietnam.